It is a little dangerous to compare audio examples of microphones on the internet. You don`t know the exact recording conditions, every sound source is different and file compression smudges the differences - nothing can compete the personal test! Nevertheless we decided to offer some sound examples to show the differences between microphones of different manufacturers and price ranges. We did comparing recordings of celtic harp, western guitar (Martin), a Yamaha grand piano as well as drum overheads. We used the same preamps on all recordings, no EQs, no compressors, no effects. We only normalized the files to get comparable levels. Please scroll down the whole page - it`s worth it! This instrument offers nice comparability of transient response, openness, separation and three-dimensionality. 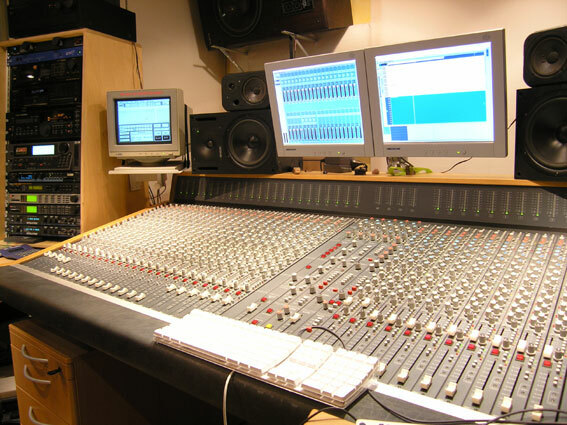 The instrument is relatively quiet, so sensivity and noise floor of the microphones are also an issue - it is useful to listen to the files with a good headphone. Microphone placement is wide A/B stereo, appr. 1,5m distance to the harp. Listen to matched stereopairs of Oktava MK 012; Oktava MK 012 UPdated Electronics (Cardioid capsules without pad-module), Violet the Junior and Brauner Phantom Classic. Thanks to Susanne Globisch from Bamberg / Germany for playing the harp! We tried small diaphragm, large diahragm an tube condenser microphones on the grand piano. Let`s begin once again with small diaphragms, A/B stereo, appr. 1 meter distance from the opened piano. Oktava MK 012, MK 012 UPdated Electronics, Neumann KM 184 and Microtech Gefell M 300. Here we used two matched pairs of large diaphragm mics, also in A/B stereo. Position 1 is the same as with the small diaphragms, position 2 is inside the grand piano, at the beater side, 40 cm above the strings. listen to matched pairs of Microtech Gefell M 930 and Brauner Phantom Classic. We also tried the tube mics on the grand piano. Listen once again to Brauner VM1, Brauner Valvet X, Microtech Gefell M 990 and Microtech Gefell M 92.1S, once more in mono. Last but not least we meda a direct comparisons between tube and FET (transistor) microphones: Brauner Valvet X (Tube) and Phanthera (FET); Microtech Gefell M 990 (Tube) und M 930 (FET) sowie Microtech Gefell M 92.1S (Tube, M7-capsule) und MT 71 S (FET, M7-capsule) respectively have the same capsule and sonic calibration. The difference is much more impressive at vocal applications, but perhaps you can nevertheless get a small impression here. All files on this site are license-free, but this doesn`t mean they are free of copyrights! The files may be downloaded for free, but used only for microphone comparing issues. The use in musical production and as sampling material is strictly prohibited and will be prosecuted by law. The files may be rediscounted only for free, with a copyright notice and a direct link to TestYourMic.com.